The bus stops, and then moves forward, but the driver's nowhere to be seen. 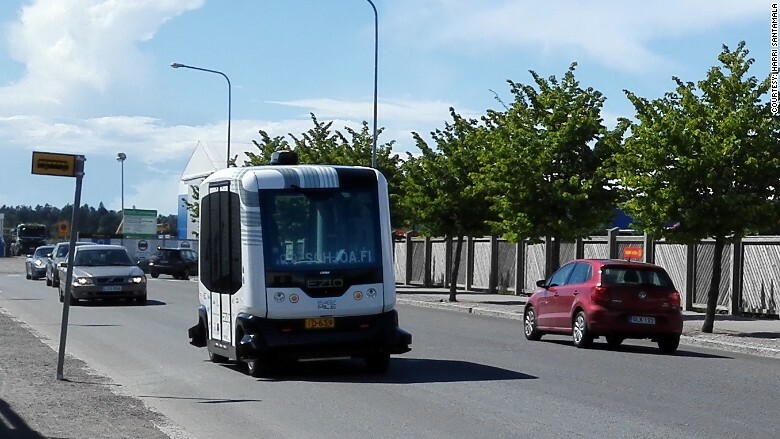 Two self-driving minibuses began plying the roads of Helsinki this week -- in real traffic. The small electric buses were developed by a French company EasyMile and can transport up to nine passengers. They are able to travel at speeds of up to 25 miles per hour, although they are restricted to seven miles per hour during their trial period. The buses are being used to move passengers between two busy public transit stations in the city's waterfront Hernesaari district. A driver is stationed on board in case of an emergency. 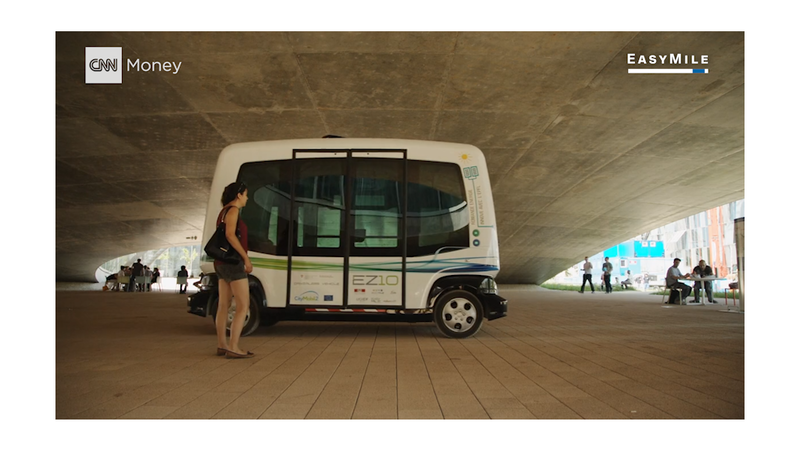 Other cities have experimented with self-driving buses, but the trials often take place in controlled environments. The project is part of Helsinki's ambitious plan to make car ownership in the city obsolete within a decade. The city already has a very efficient public transport system, but it is also developing an on-demand mobility program, which would allow people to use integrated mobile apps to book and pay for any trip by bus, train, taxi, bicycle and car sharing. Helsinki's Deputy Mayor Pekka Sauri said the city wants to be internationally renowned for smart urban transport solutions. 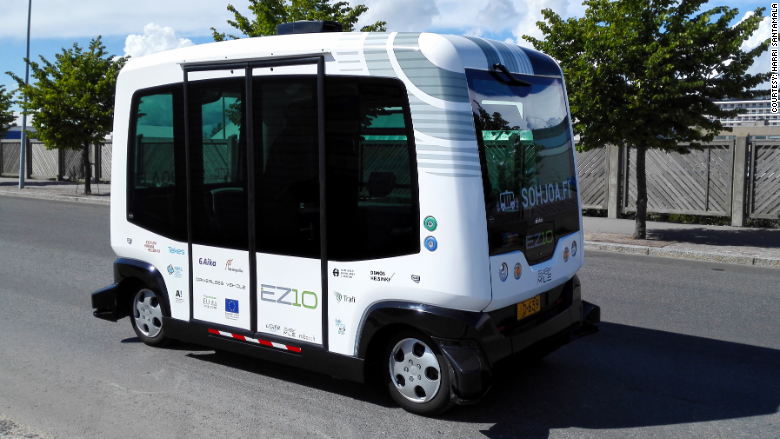 "We hope more companies and research institutions in Helsinki will be developing self-driving buses," he said in a statement. The buses will make their debut in two other Finnish cities -- Espoo and Tampere -- later this fall. They'll be taken out of action after the first snowfall, but then return to the roads in the spring. Finnish law does not require a driver to be present in vehicles, easing the way for self-driving transport options. "The law doesn't actually require it, it's the way it has been written historically, but the government has embraced it in relation to self-driving vehicles," said project manager Harri Santamala.